Black Stainless adds a modern edge to your kitchen. This review was published on August 26, 2015. Since then, this product may have been discontinued or replaced. Pricing and availability may differ from what is stated in the review. 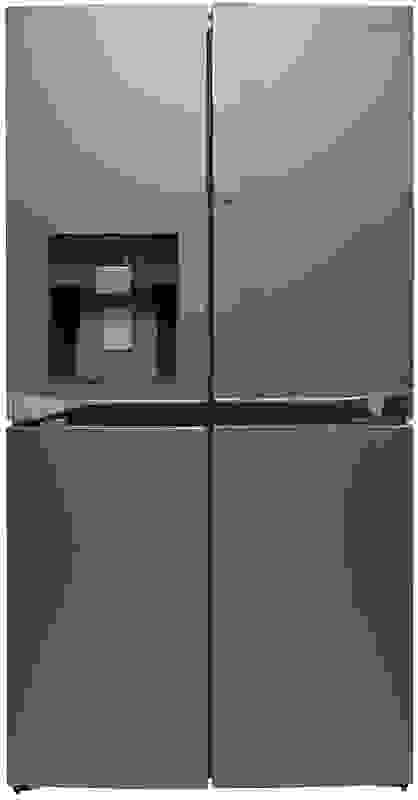 The LG LPXS30866D (MSRP $4,299.99) is a new key player in the four-door fridge market. This massive appliance—advertised with a 30-cu.-ft. interior—is part of LG’s new Black Stainless Steel Series, formerly known as the Diamond Collection, and features a black stainless steel finish unlike any other we’ve seen. 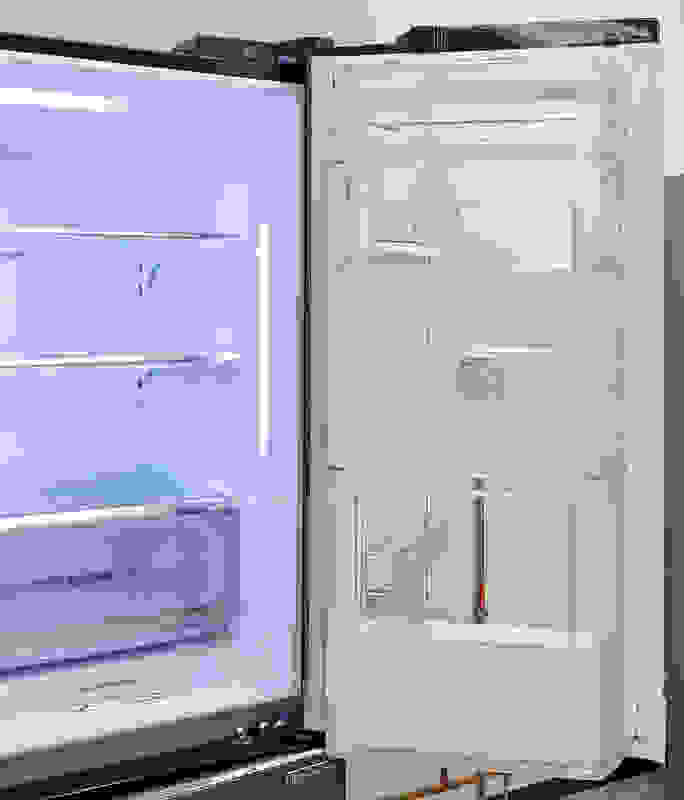 This darker stainless coats a fridge that offers low energy consumption, stable temperatures, and adjustable storage concealed behind four doors… but there's a catch. It’s pretty darn expensive—even on sale, it costs $3,865. Plus, the new finish won’t exactly match anything else in your kitchen unless you’re buying the entire Diamond Collection. As one of the best models we've tested, it's definitely worth considering. Just make sure you weigh your options carefully: It's more expensive than the basic Samsung four-door counterpart, and it lacks the Samsung's adjustable temperature zone. 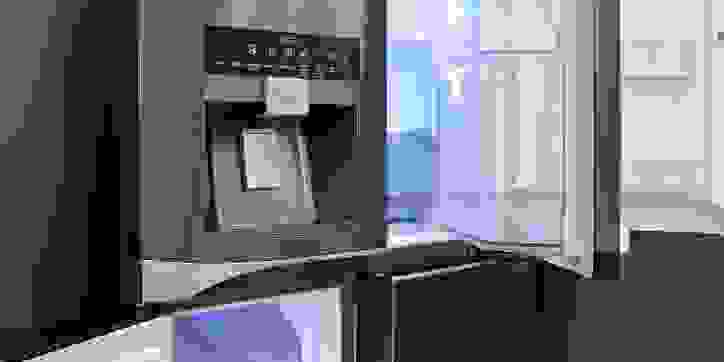 On the other hand, it offers superior functionality, and it's cheaper than the Samsung's Chef Collection alternative—a key thing to consider if you're looking for a full kitchen remodel. Tall, dark, and chilly, this LG’s "black" stainless steel finish will add an edgy, modern look to any kitchen. To be clear, this is still genuine stainless—it’s reflective, nonmagnetic, and has a visible grain. However, the darker finish is harder to smudge, making it an even better fit for households with small children. Silver trim directs the eye to the recessed door handles. The handholds are large enough to grip comfortably, and won’t take long to get used to. 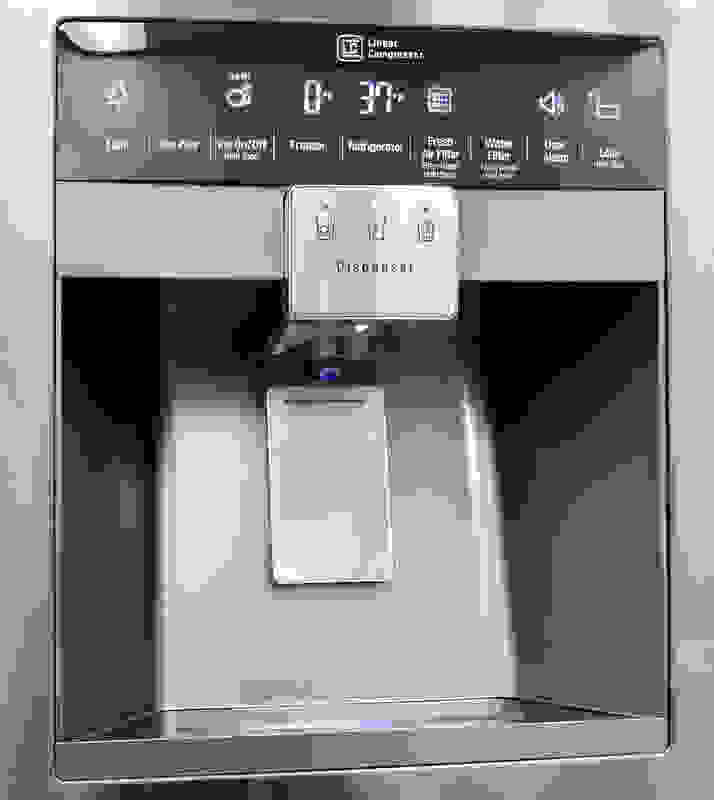 The control console, has a black, reflective touchscreen set above the grey water dispenser niche, and blends seamlessly into the finish. Permanently visible text may not be as elegant as something that fades out entirely, but the font is unobtrusive and keeps the doors from becoming visually monotonous. Inside, you’ve got everything you’d expect to see in a high-end fridge: adjustable shelves with silvery trim, smooth-sliding crispers, and bright LED lights illuminating swathes of clean, white plastic. 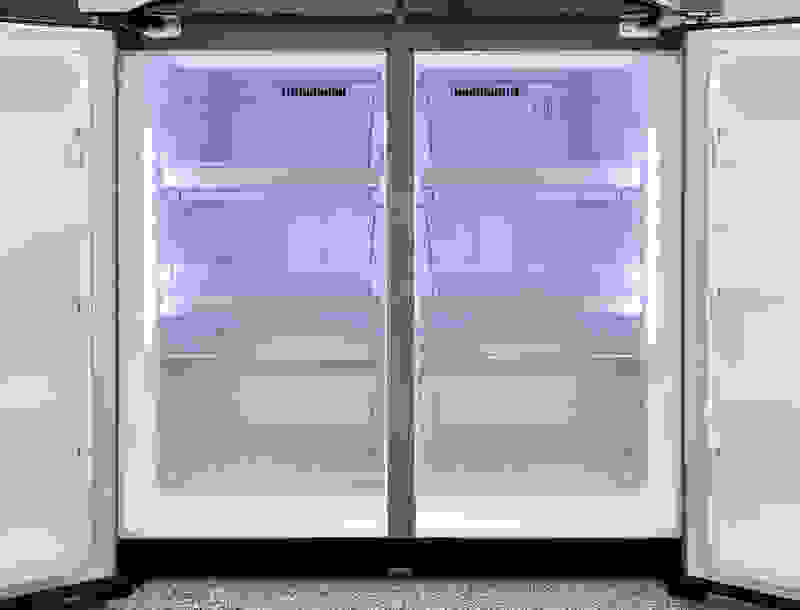 The features that really make this fridge stand out, however, are its door-in-door storage and split freezer. This model's door-in-door storage is a mixed bag. 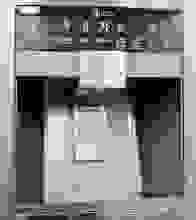 The exterior section—the “door in door” part, if you will—is accessed simply by pushing a prominent—but not garish—silver button on the outside of the fridge. The shelf layout is one of the more flexible designs we’ve seen, featuring an EasyLift Bin that can be raised or lowered to adjust how you want to use the space. However, accessing those shelves with the main door completely open is cumbersome. 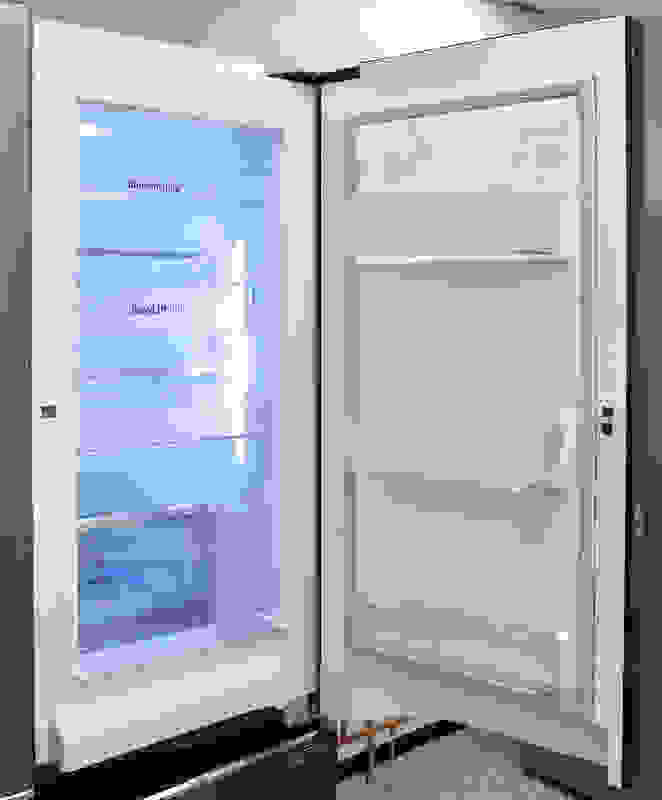 One of the ideas behind this design is that the secondary door lets you conveniently access oft-needed items while letting less cold air escape. It keeps things handy and improves efficiency. As such, the door shelves are usually blocked off by a plastic barrier, as is the case here. However, the barrier in the LPXS30866D is fixed into place and can't be popped open. There are two undersized holes cut into it that are fine when you need something small like a jar of relish, but far too awkward for getting something larger like a gallon of milk. We’ve seen LG come up with door-in-door storage that doesn’t do this, so we have to wonder why they’ve gone with a more restrictive approach here. 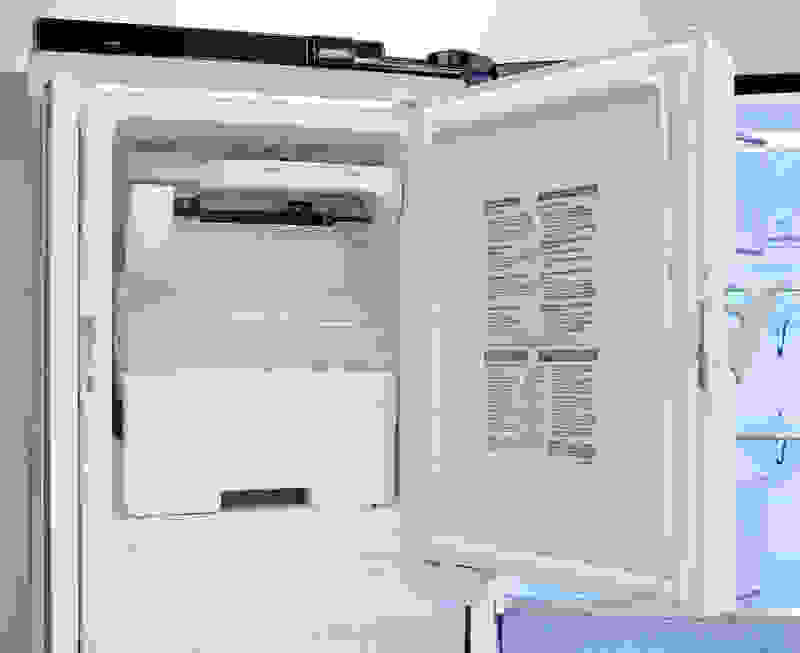 On Samsung's four-door fridges, a key selling point is the addition of a compartment that can be switched to one of four different temperature brackets. Don’t have a ton of frozen food? Warm it up to create a mini fridge for wine or bottled water. LG's design for the LPSX30866D is similar: you’ve got identical twin freezers… but the right-hand freezer doesn’t do anything else. It’s just a freezer. One of our issues with the Samsung design—and therefore the new LG's—is that the drawers used in these smaller freezers require even more stooping than a traditional pullout freezer. The temperature flexibility that helped mitigate the extra frustration in the Samsung is absent in this LG, making us question whether the split design is a perk or a hindrance. What’s more, if you can’t get the freezer door open all the way—and we mean all the way—the drawers can't fully extend because they catch on the edges of the door. If your fridge is going against a wall, that's something to keep in mind. 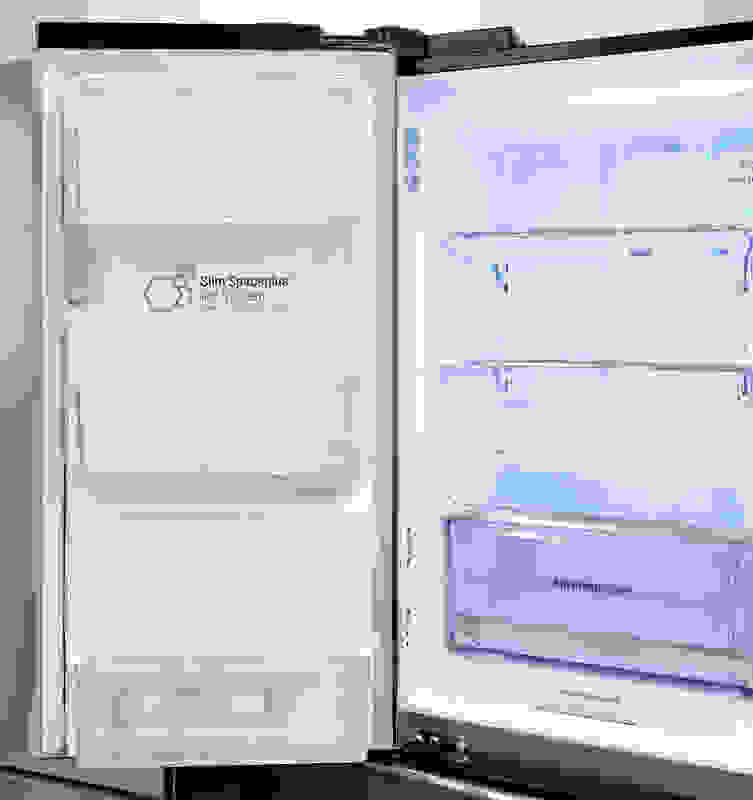 Design issues aside, our tests quickly revealed the LG offers precise and consistent food preservation…but it's not perfect, which may be a turnoff in a $3,900 fridge. The upper fresh food storage area is highly consistent over time. That’s fantastic news if you’re a connoisseur of soft cheeses that may not last as long in an environment where temperatures fluctuate. 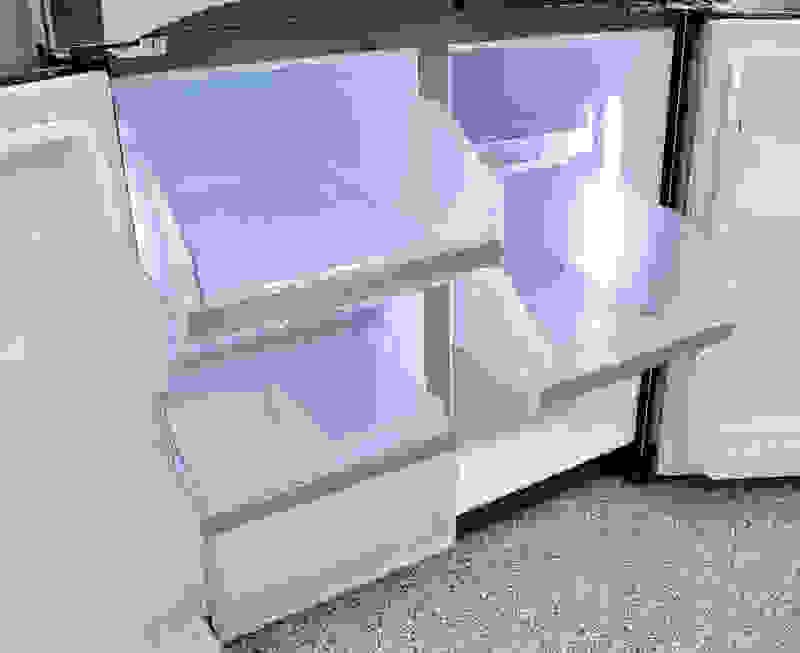 The food inside the fridge averaged 39°F overall—which is well below the 42ºF "danger zone" for leftovers. The freezer was even more consistent over time, though we noticed an almost two-degree difference between the top of the chamber and the bottom. If the air circulating around your food causes temperatures to slip above and below 0°F repeatedly, you'll find your frozen food covered in freezer burn. Turn it down about 2°F for best results. Test results from the crisper drawers were exceptional. They preserve plenty of moisture to help keep your produce fresh, and they're roomy enough that you can buy whatever you want at the farmer's market. 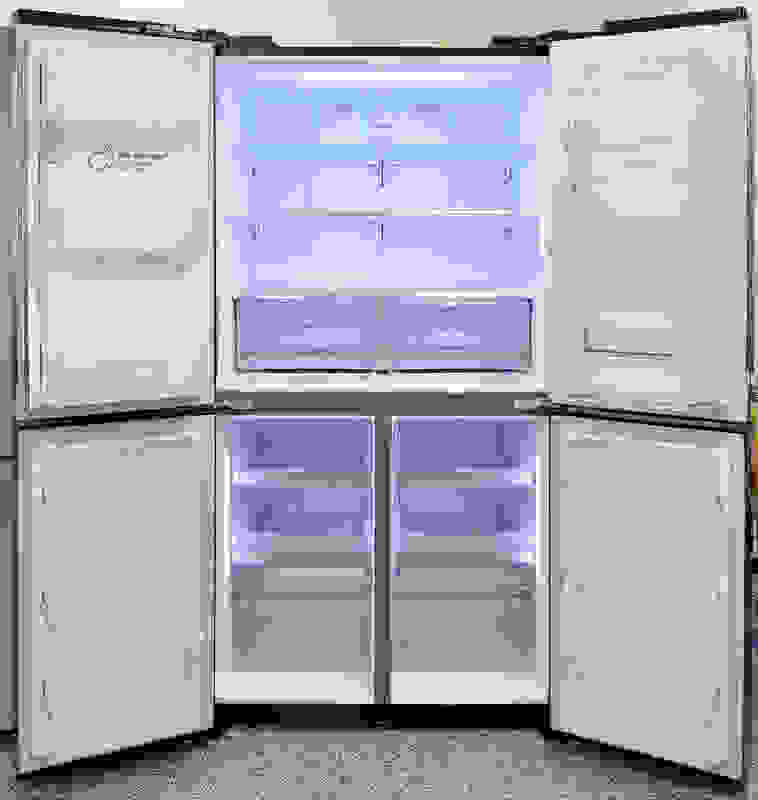 Despite its impressive capacity, this 30-cu.-ft. fridge was also surprisingly energy efficient. 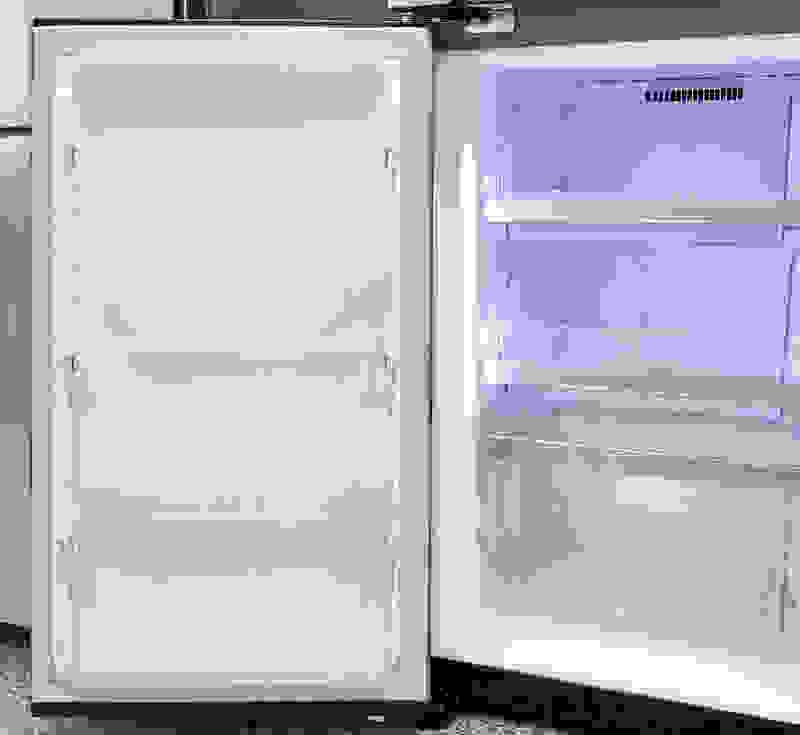 Based on the national average cost for electricity, this fridge will cost you less than $59 a year to run, even if you use the ice maker. 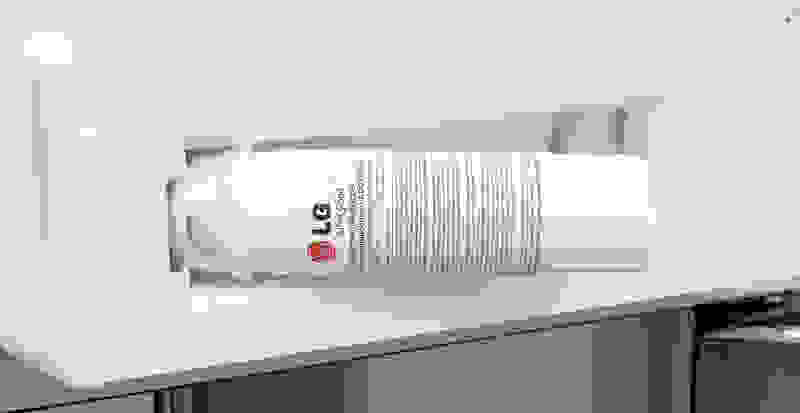 Despite this particular model's luxuriousness, LG's warranty fits the industry standard: One year of coverage for full parts and labor if anything should fail or break through no fault of your own. LG does throw in an additional seven years of parts-only coverage for the sealed system. That includes the compressor, condenser, and evaporator. 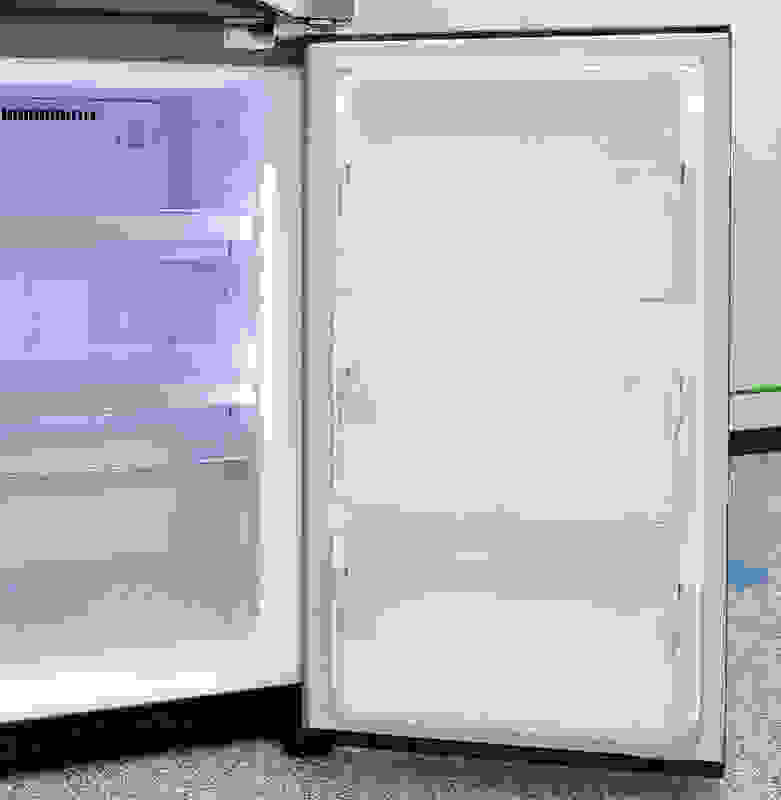 The LG LPXS30866D is a gorgeous fridge with a (mostly) sensible layout, low energy costs, and consistent temperatures working in its favor. And with its singular design, this fridge is a true statement piece for your kitchen. However, a standard retail price of about $3,865 may scare off many potential buyers. Comparison shoppers may be drawn to Samsung's original four-door, which costs about $800 less. Conversely, Samsung’s Chef Collection includes a four-door fridge that costs about $600 more than the LG, which means the Black Stainless Series may make for a better package deal. And then there's the look: Nothing else out there has the same grained, black stainless that LG is offering. Check your budget and design sensibilities, and plan accordingly. It's stainless, but not quite... the new four-door entry in LG's Diamond Collection. The responsive touch screen blends in well with the new black stainless steel finish. Freezer door storage on the right is identical to door storage on the left. Many of the largest door shelves aren't easily accessible when the full door is open due to the fixed plastic barrier. Excellent crispers that slide smoothly are a definite plus for this model. Door storage on the left side of the fridge is shallow, but still useful. The water filter is "hidden" in a recessed nook behind the left fridge door's lowest shelf. 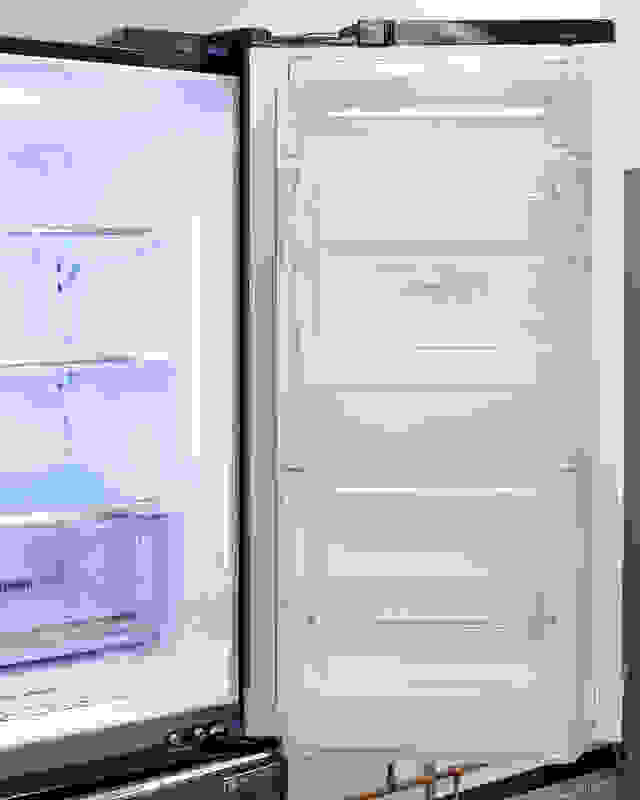 The door-mounted ice maker takes up minimal space while still holding plenty of cubes. 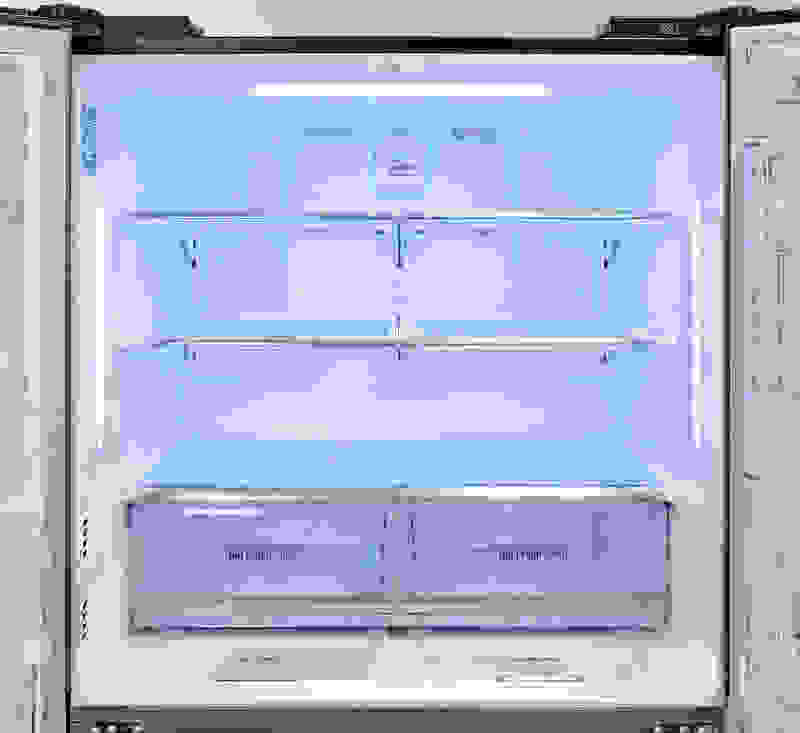 This model has matching freezer compartments, but neither of them offers adjustable temperature settings. Door-in-door storage is designed to provide quick access to frequently-used items. The attractive dispenser has more than enough space for a drinking glass, plus its own light for easy late night beverage acquisition. For better or worse, the freezer compartments use sliding drawers instead of a full pullout compartment. Recessed handles give the fridge a sleek look, though it can take some time to get used to them. Ample room and adjustable shelves make this a perfect fit for large families. So many shelves and so many doors—you'll want to take the time to figure out what to put where that makes the most sense for your food storage needs. This massive four-door fridge is a sight to behold. Door storage in the freezer is composed of three shallow shelves that supplement the larger pullout drawers.